it’s the end of the year, time to remember the season. 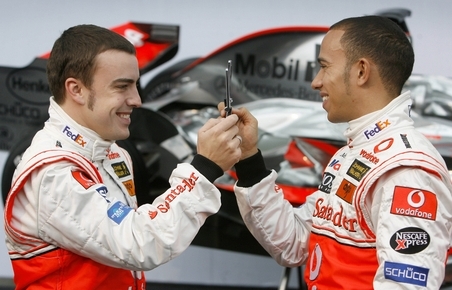 i’ll do that by defining my top ten drivers of the 2010 season. but first, the main disappointment: felipe massa had a horrible season, was almost never even close to his team mate’s pace, lost his credibility with his home fans after hockenheim – and today wasn’t even capeable of passing jaime alguesuari. 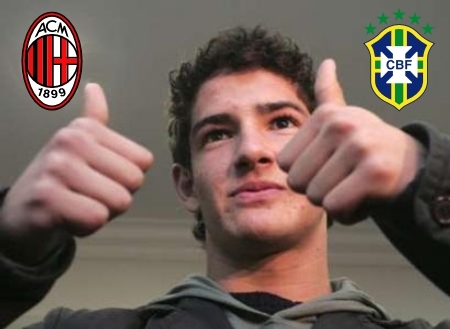 a season to forget for the brazilian. but here the top ten. 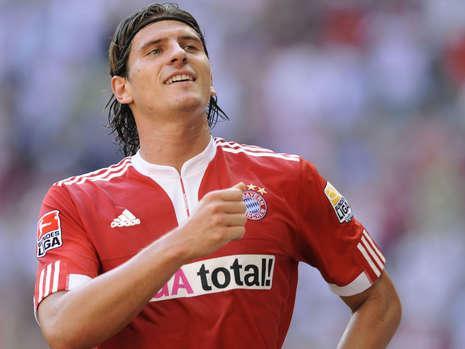 the german had a wonderful first third of the season. when force india continued its surprising run to the points, it was mostly lewis hamilton’s friend who would take the points for the team. at the end, he carried 47 out of 68 team points, one of the clearest winners of the season; if he continues his good form (since last season), he might land a great driving seat for 2011 or 2012.
williams was the best of the rest in the second half of the season, sometimes even getting better results than mercedes gp. barichello wasn’t the guy on the pole in his home grand prix, but he did beat hülkenberg most of the time; 47 out of 69 points for the team came from the veteran brazilian. jenson button, without a chance this year. he had a pretty good beginning of the season, being the best driver when conditions got tough. the “tyre whisperer” won two races by doing exactly that – being better than everyone else in the handling of the tyres. but at the end, it became painfully clear most of the time that his team mate is simply the better driver – tough for the 2009 world champ. his career starting promising at the end of the 2009 season, subbing for timo glock at toyota. kamui showed talent, but mostly he showed a very agressive attitude, very refreshing. this was observable when the car started to get better in the second half of this season, when kamui scored most of his 32 points – out of the 44 team points! thats more than 75%. this might just become the best japonese driver ever. he won two races brilliantly. barcelona and monaco were webber’s highlights of the season. but they were races number five and six. webber won in britain (needing some luck) and inherited a victory in hungary. after that, he tried to become world champion by scoring points constantely. it’s just not enough! not only his horrible mistake in korea or his horrible weekend in abu dhabi, but his inability to really challenge vettel in brazil, japan, italy and even hungary. for one of two men with he best car, it was just not enough. even more if you consider that he had no mechanical failures during the year, and still finished third after the turkey crash. still, his best season to date. the pole had an incredible start of season, driving with the big dogs and taking part in the initial championship race. his car shouldn’t even be at a level with mercedes gp, so ninth place would have been realistic goals. he did end up in eighth place, but scoring only 6 points less than the best mercedes, and 8 points behind felipe massa’s ferrari. he had a pretty weak second half of the season, but a strong last race in abu dhabi. lewis was sometimes fantastic, sometimes infantile. the brit was the most spectacular driver of the year, and is clearly one of the most talented. but mistakes in two consecutive races cost him a very probable championship in the middle of the season. he did show his pace once again at the end, and clearly a favorite for next year, too. it almost seemed that he didn’t really exist anymore. even with his fantastic season 2009, rosberg seemed to be completely overshadowed by schumacher’s comeback. at the end, though, he beat the veteran seven-time champ in almost every qualifying session (or every practise session at all) and scored 142 points – only two shy of massa and almost exactly twice as many as michael. to be clear: he humiliated one of the greatest of all time. it’s a shame the car wasn’t a winning car, but it might be next year. look out for rosberg 2011! okay, his last race was disappointing. 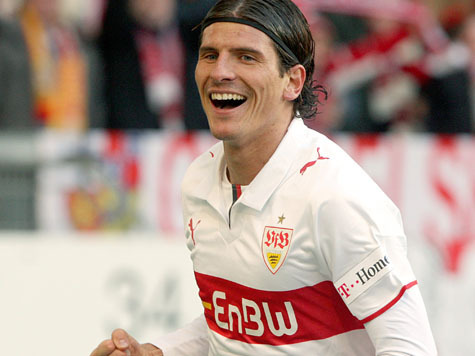 okay, he did take advantage of an ugly team order when he seemed out of the title race. but fernando alonso is maybe the best driver in formula one, and he showed it by leading the championship coming into the last race, but only having the fifth best car on the grid for most of the year. and he completely humiliated felipe massa, a very talented driver. demoralized him. alonso showed that he’s still got it, and ferrari will try even more, next year. in a season where things were always close, vettel showed what he’s made of in these last four races. red bull had the best car, but only slightly. and in the race, mclaren and sometimes alonso were able to match red bull’s pace. but vettel completely dominated the last four races, showing that he’s matured a lot over he year. he was very unlucky in the beginning of the season (when he was also dominating), lost himself a little in the middle, but never stopped believing and showed incredible concentration, focus and just talent. he’s still 23. he’s won 10 races. and he passed the final test today! vettel, hamilton and alonso should dominate formula one for years to come, maybe joined by rosberg. button, webber and schumacher might still hope, sutil and kubica might also become important in future. maybe eben massa can come back from this season. still a lot to happen in 2011! only 4 months to go until bahrain!!! the f1 season in review – in the old points system! we all know what happened today. without really intending it, schumacher’s mistake and webber’s not feeling to well were the decisive key to vettel’s happy day. and of course renault’s strength on the straights. 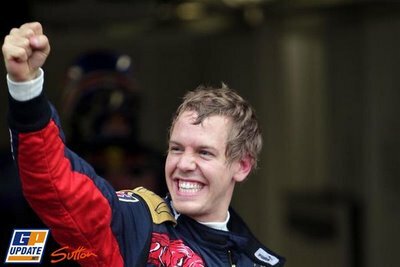 today, vettel was simply perfect. he did everything he had to do. get 2 seconds away from a really fast hamilton, stay on the track longer and coming back right in front of kobayashi (who was in front of kubica and hamilton), and then pressuring button, who still stayed out. 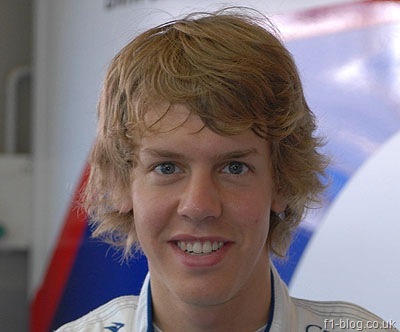 vettel was perfect. but he needed help. and he got it. from schumacher. he lost control of his car, luizzi crashed into him, and the safety car came out, prompting petrov and rosberg to switch tyres. then webber wasn’t feeling well at all on the option tyres and put it an early pit stop. alonso had to react, to stay in front of him – if the spaniard had waited one more lap, who would have come back behind the aussie; little did he know that he should’ve stayed on the track for as long as possible, since it became impossible to pass petrov. and he still needed to pass rosberg and kubica, with his late stop strategy. comeback of the year... and quite disappointing. less than half of his team mate's points! we all know that it was a pretty unique formula one season. not only because it ended with the youngest f1 world champion of all time, but because so many drivers were fighting for the title in different phases of the season. even with the new point system, it became clear. but let’s relive parts of the championship as if the old system was still in place. after the third race, vettel and alonso would have led with 15 points each, equaling massa’s 15 points, but having scored a victory each. rosberg would have 14 points, kubica 13, button 12 and hamilton 11. can you imagine this? 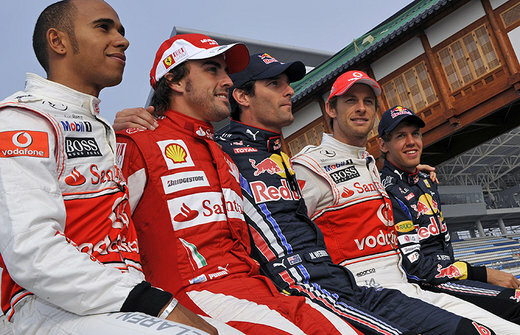 seven drivers within only four points – and webber would’ve had only 9 points at the time, in eight place. aftet china, button (then sixth) jumped into the lead, at 22 points. alonso and rosberg with 20 were trailing only by 2 points, hamilton in 4th (19) and vettel in 5th (18) and kubica in sixth (17) still close; massa fell from second to seventh, but still 5 points ahead of webber. mark webber wins monaco. he also won another glamour races, the british grand prix being one of them. but webber won the next two races in europe, and look what that did to the standings, now after six races; and here is difference, because vettel would have been the leader before that turkish grand prix, with 32 points, one more than alonso, and two more than webber, now in third. button, with 26, and kubica (24) would still be relatively close, hamilton and massa would be at 23 (still less than a victory away from the lead), and rosberg with impressive 22 points, but in eight. the eight place in the championship only 10 points behind the leader, it hasn’t even been close to this interesting in any f1 season before. after the turkish crash, webber still took over the lead in the championship (would have taken), two points clear of button (34 points) and three of hamilton. vettel and alonso followed with 32, with the top five within 4 points. this is incredible. kubica (27, 9 points behind), massa (26) and rosberg (25) already seemed a little out of the picture, even though all of them were still pretty close. one race later, the second mclaren 1-2, and things changed a little more. 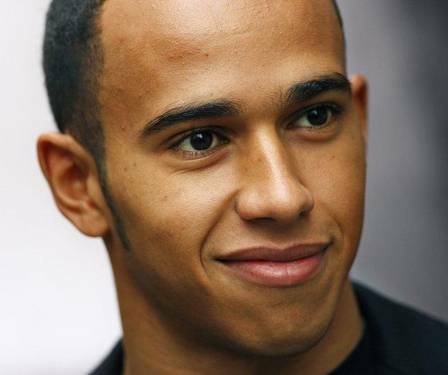 hamilton was now in front of the pack, with 43 points – only one more than his team mate jenson button. webber had 40 points, alonso 38, and vettel 37. at this point, kubica, rosberg and massa were officially out of the championship race. vettel won the next race and moved up to third place at 47 points, one behind button and four behind leader hamilton. webber, at 40 points, seemed out of the race, and alonso at 39 points was already 12 behind. it seemed to be a trio now. but, as always in the season, things changed pretty fast. 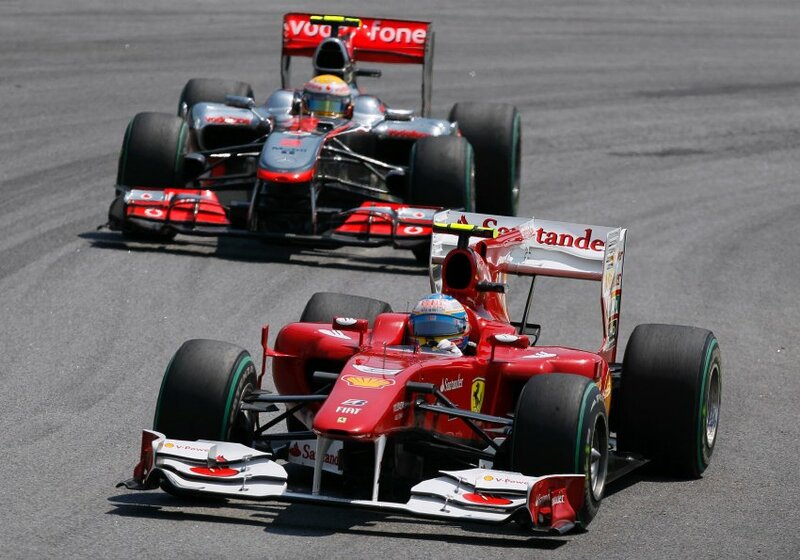 webber won in silverstone, and alonso in hockenheim – both were back in the race! by the way, after the british grand prix, hamilton had 6 points of advantage over his toughest opponent, team mate button. this was, at that point, the biggest lead of any championship leader! and he extended that lead to seven points after the german grand prix. 64 points for hamilton, 57 for button, 55 for vettel, 53 for webber and 49 for alonso. it still didn’t seem likely that the ferrari driver could get into the fight between mclaren and red bull. but that’s what he did. alonso wins monza and is back in the race! 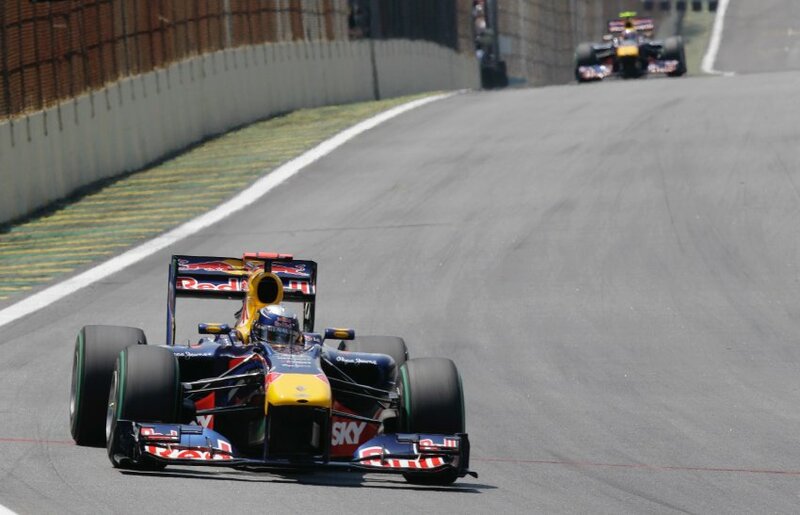 in hungary, vettel made his first big mistake, and webber won his fourth race, twice as many as anyone else. that was webber’s last win, which he only inherited from vettel’s mistake. hamilton would have still been in the lead, with 64 points, but webber had 63, vettel 61 and button, 58. alonso was back in he game, at 57, only 7 points behind the leader. interesting that, at that time, all drivers had been in the points in 10 out of the 12 races. only seven to go! after the belgian grand prix and vettel’s accident with button, the title fight seemed to be between only two drivers: lewis hamilton (74 points) and mark webber (71). vettel was already 13 points behind the music, button had 58 and alonso 57. none of them really out, but all three in clear disadvantage. but then came monza and singapure, changing everything. mistakes by hamilton, and everyone seemed to be back in the race; mostly fernando alonso, who won both races and stormed up the ranks. 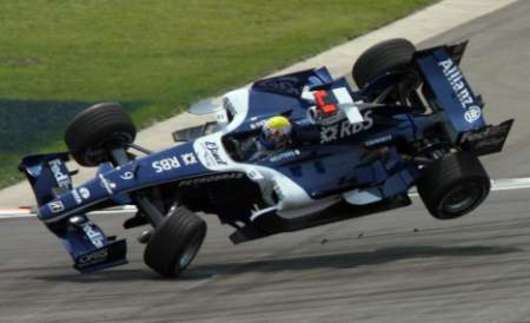 this is when lewis hamilton lost the title; his two dnfs dropped him to third, 6 points behind the leader, mark webber. alonso had passed him, too (77 points), and vettel also had 74 points, in 4th place. even button was now only nine points behind, at 71.
before japan, these five drivers still had a shot at the title! then came japan. everything still looking good for webber, even losing to his team mate sebastian vettel. the red bulls celebrated a 1-2 with no team orders. 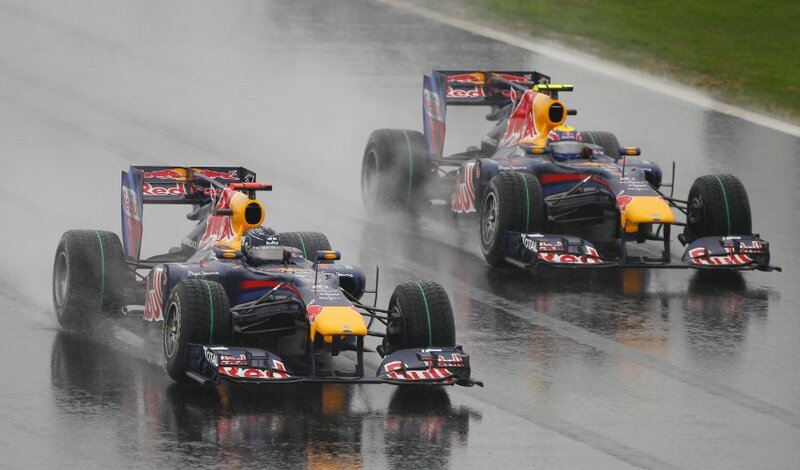 the duo now led the title race, with webber four points ahead of vettel (88×84 points). alonso was third (83), and the mclarens were starting to look worse and worse. they had led with both drivers right into the middle of the season, and now they were in 4th (hamilton, 78) and 5th (button, 76). it seemed like a race between the red bulls and alonso now, and that is precisely what would happen. after the red bull disaster (webber’s mistake, vettel’s engine blowing up), alonso inherited the race victory and topped the f1 standings for the first time since his win in the first race of the season. 93 points, five over webber, seven over hamilton and nine over vettel. 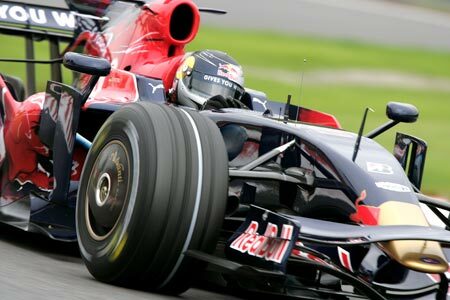 it seemed that vettel’s dreams were now gone, and he would have to help webber win the title. hamilton was back! but in brazil, red bull decided not to use team order, and vettel lead a 1-2 red bull victory, but alonso’s third place meant he who be the favorite for the title. 99 points in the old system would mean that a second place in abu dhabi would be enough for the title. vettel would have to win and hope for a fourth place for alonso. not impossible. he's the number one. here in japan, but also in the world. 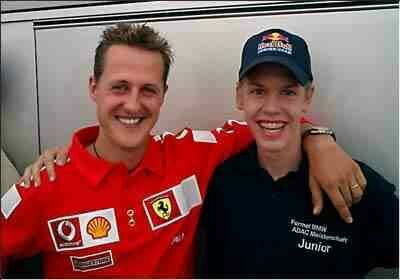 youngest champ ever, sebastian vettel! fernando alonso: simply the best! i have to start this by saying that i am one of not few who simply hate fernando alonso. 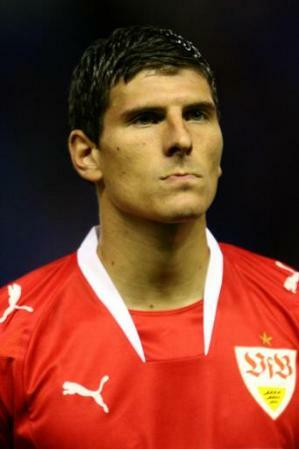 actually, i’ve hated him even more in the past. i don’t even really know why. but i have to recognize that this year he has been the best man in the field. in 2001, not even 20, but already in f1! initially, in the first semester, it was lewis hamilton who i was seeing as the deserving coming champion, with a really more mature, but still agressive style, and a lot of competitiveness. but his car and even himself didn’t do as well in the second half, while alonso has been constantly good – this year and actually in all of his career years. 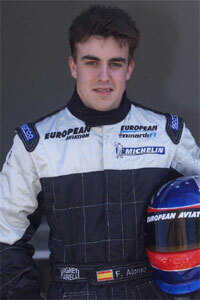 2001, one year before webber, alonso entered into the sport at minardi. since then it was his dream to drive a ferrari, just like other great drivers before him (prost, senna, schumacher), and even more starting his career with an italian team, his dream of being world champion for ferrari is old. alonso wasn’t even 20 years old when he sat in a f1 car in a race weekend, for the first time. the minardi was slow and not reliable, but alonso showed talent from the very first qualifying session, beating his team mate (brazilian tarso marques) by a whopping 2.6 seconds. alonso went on to even beat benettons in qualifying a couple of time, a fet that impressed their team chef, flavio briatore, que quickly became his manager. even without scoring a point in the season, he had quite a few impressive performances, most notably the japanese gp in suzuka, where he finished eleventh, in front of many better cars. 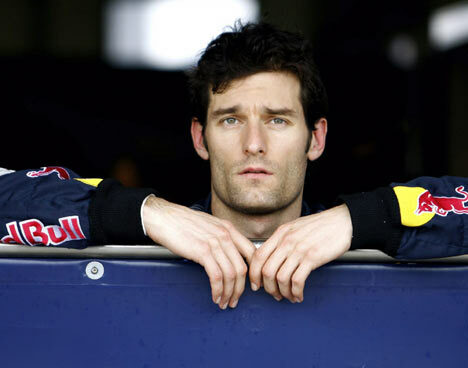 he was offered mark webber’s job as renault’s test driver, with a good chance to become a regular driver for them in the future; webber took his job at minardi, a team who would soon be bought by the red bull empire. incredibly, fernando alonso did so well as a test driver that briatore got rid of a young aspiring british driver to give him a seat for the 2003 season – jenson button had to leave renault. and it worked out! the team that had had their last successful spell with michael schumachers double championship in 94 and 95 finally was getting close to winning races again. alonso was the youngest driver to sit on pole position and the youngest driver to win a race, both in that year, and he had incredible 4 podiums and a 6th place in the driver’s championship, considering ferraris, mclarens and williams had far better cars. trulli, who started the season as the main driver, scored only 33 points, and alonso was on his way. 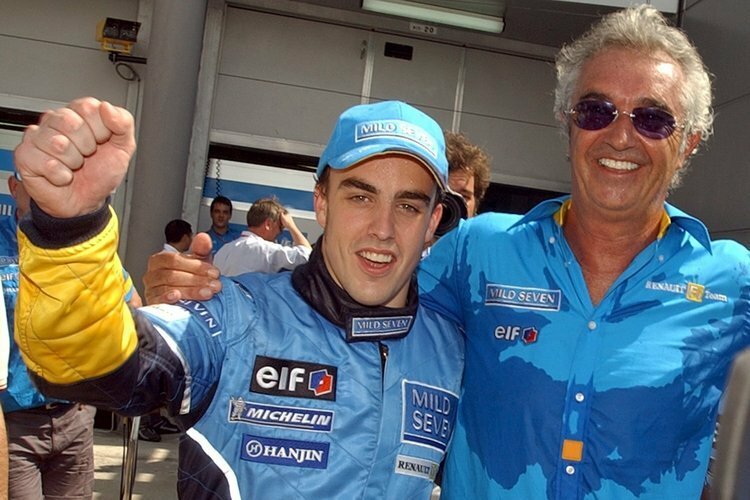 quite a duo: alonso and his boss/manager briatore, after his first pole position in march 2003.
in 2004, alonso didn’t win any races (although trulli did win monaco). benetton had left the williams behind, but the bar car with jenson button reached a high enough level for alonso to finish in 4th, one place behind the driver he stole the seat from. alonso still had a good season, with 59 points, 4 podium finishes and a 13 point advantage over team rival trulli, who fighted with team chef briatore and left the team before the end of the season. 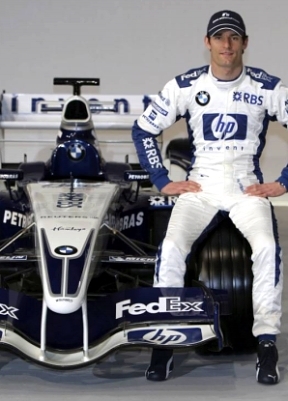 but alonso left the replacement jacques villeneuve no chances in the last 3 races, a world champion in his right. and renault seemed to be the main rival to fight ferrari and schumacher dominance, that had lasted for five years. 2005 was alonso’s great year. he became the youngest ever f1 champion by beating schumacher in the ferrari, although truth be said: the ferrari was only the third fastest car on the grid that year. it was a greater achievement for alonso o beat raikkonen, who had the better car (a mclaren); the spaniard won seven races, had 15 podium finishes and an incredible 133 points (schumacher had 62, in third place). 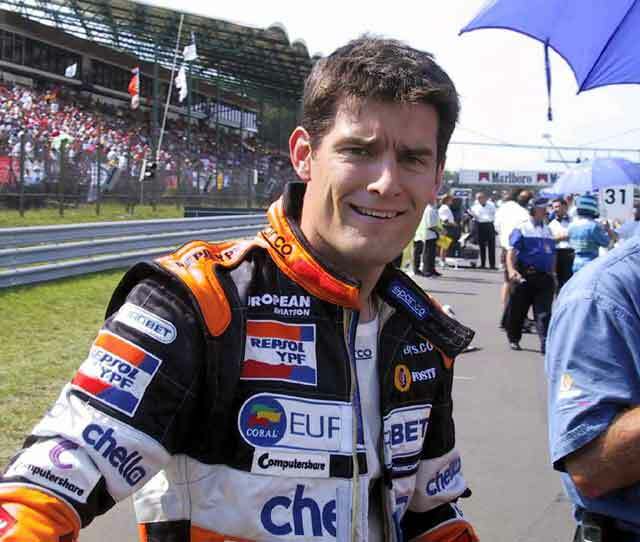 fisichella, alonso’s new team mate, managed the first victory of the year, but only added two more podiums to he tally and ended up in 5th place, behind montaya’s mclaren, schumacher’s ferrari and raikkonen’s mclaren. alonso had won, and he’d won in style. he was the new schumacher, who also took 2 years at benetton to rise up the car’s level and crown himself champion in the third year. could he repeat schumacher’s feat of defending the title with a benetton? they had the same team chef (briatore), and they both seemed arrogant to the media, perfect parallelism. and what irony that schumacher tried everything in 2006, his last year at f1 (before his so far unsuccessful comeback), but alonso repeated the german’s feat and defended his title. seven wins again, 14 podiums, 134 points. schumacher managed 121 with an improved ferrari, but now the benetton was clearly the better car. alonso got the title, schumacher the glory, since many regard that last season as his best, even though he didn’t win the prize. 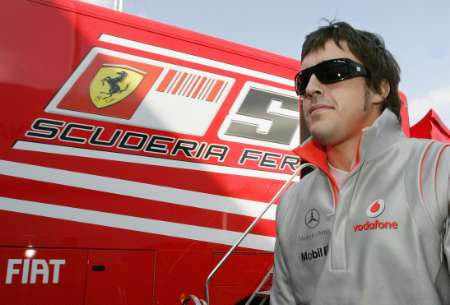 it was time for alonso to move on, just like schumacher did. but not to ferrari, his dream. he first went to mclaren, to replace raikkonen, who went to ferrari instead. just like in 96 when schumacher left benetton, briatore’s team declined. and alonso continued his success, but he felt he was entitled to a better treatment, as the reigning two time champions and superstar of the sport. alonso never got along with the new boy hamilton, who totally managed to steal his thunder. in the british team, it seemed that alonso wasn’t as appreciated as the young lewis, who even seemed to have it in him to steal all of alonso’s records as youngest driver to achieve this or that. it was a tough season for alonso, and he almost won the championship; but hamilton actually threw it away, which also meant that alonso was, for the first time, outdriven by his team mate. it was a close call, but hamilton had had a better season with tragic ending, and ironically raikkonen won the main prize. alonso angrily returned to his haven, the benetton team and flavio briatore. alonso celebrates in hockenheim, another contreversial race in his career. vettel lost. the two years to come were basically a wait for raikkonen to leave, since massa wouldn’t: alonso wanted to finally go to ferrari, even more so because his benetton car couldn’t give him wins. or at least shouldn’t, since it was a pretty medium car. there were victories anyway, two in a row even, but one of them with great controversy. his team mate nelsinho piquet caused an accident right after alonso’s pit stop, giving the spaniard the edge and the win in last year’s singapore race. until today, alonso denies that he knew about the scheme, but that seems highly unlikely. in any case, his image hadn’t been the best since his year at mclaren, and ferrari was all he was looking for to recuperate some lost respect and even dignity. no way better than to start the new season in the new red car with a victory. 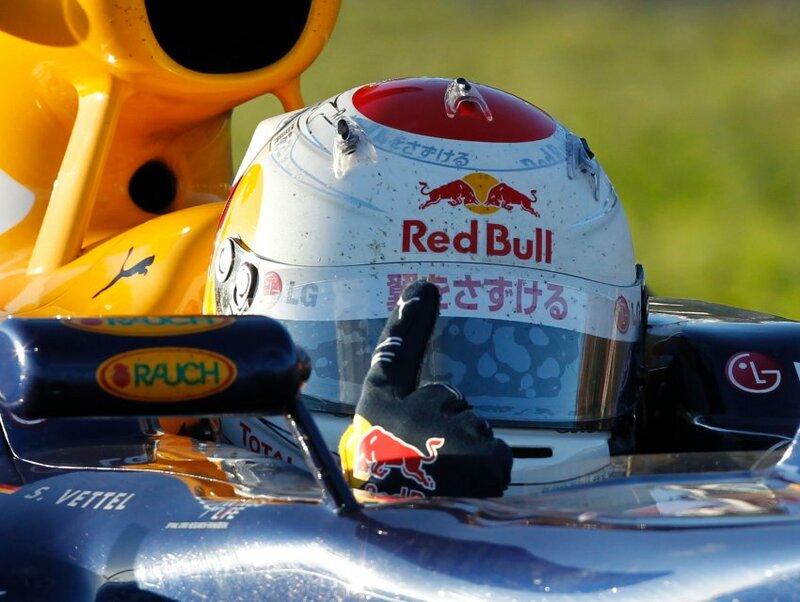 a victory which came from a mechanical failure in sebastian vettel’s red bull. kind of a symbol for how the whole season has gone. 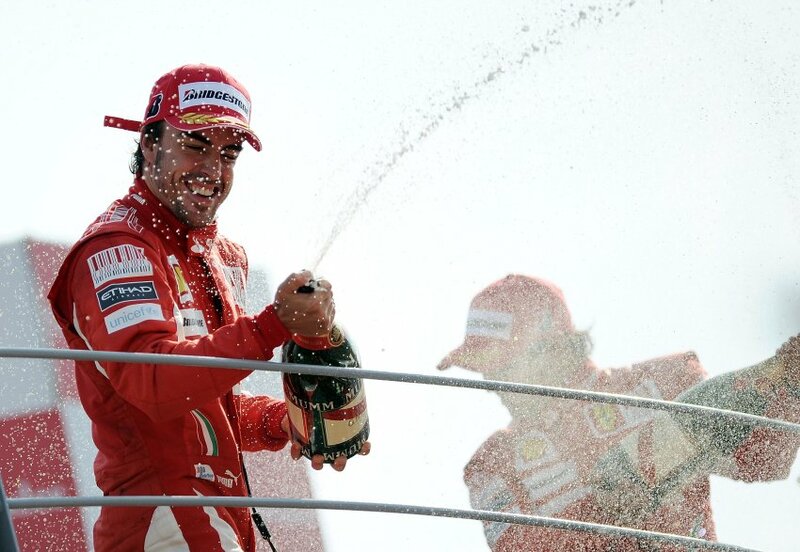 close to his dream - the title for ferrari! in defense of red bull racing – and ferrari! from someone who has been interested in formula one in a household were no one else was since the age of 11, and watched every single race since 1994. from someone who is arrogant enough to think he can determine what is “right” in term of sportsmanship and what is wrong in formula one. and the subject is that of team orders. this is the game, this is the sport, this is formula one. there are two titles to be won in the formula one world championship. this is due to the fact that each team participating in the expensive competition has the right and duty to hire two drivers. there can only be one champion team, and there can only be one champion driver, that’s as simple as it is. generally, teams equip drivers with the exact same material. at least in theory. in praxis, it is very rare that two drivers have the same ability to drive a particular car. most of the time, one driver is constantly the faster one; this is just a general statement that completely justifies, from the point of view of the team, why one driver might get more current or better material when there is only one piece available. it would not make sense at all to limit the second driver deliberately, since this is commercial nonsense. if schumacher, for example, had the advantage in new materials in his car, it is not because he was more beloved; it is because he was simply faster than a barrichello or a massa. this type of privilege, including the one in strategies during the race, is deserved in a purely competitive merit. this happens because formula one is run by teams, and they do have limited recources and economical considerations. not necessarily to sell more mercedes benz (in case of mercedes gp), but in terms of expenses and outcome. felipe massa would deserve priority in material and race strategy if he were more likey to score more points for his team. this is, once again, a merit that is earned through a career and a race-to-race performance. and now, more then ever, performance can actually be clearly measured and cracked into data, interpreted statistically and used to make decisions. in this case, i am totally in favor of team strategy. and, this should be said, it is actually pretty rare that a driver gets a real advantage over his team mate, since the differences, even if they exist, are too small to actually matter; this is what i’ve seen over the years. and those who complain too much about differentiated treatment are mostly just bad loosers. a second situation is, what do you do if two drivers of one team fight meet each other on the track? 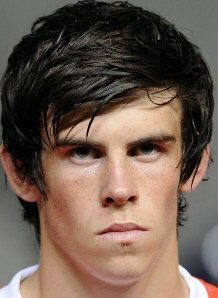 i truly believe that here, there is a way to settle things in a sportive manner. first of all, if there is a duel between drivers of the same team at all, most of the time the faster driver in that particular race is the one attacking. this is very simple: to even get to a fight for positions in formula one, other than a good or bad timing in box stops, the car behind must be going faster than the car in front. in this situation, two phases should be put into practice. in the first phase, the car in front has to show that he has at least equal speed compared to the car behind. if he fails to show that, he should let his team mate pass. this is to reduce the risk of both drivers getting themselves out of contention through a stupid and unnecessary accident. open fights like senna x prost were only possible because no other drivers had cars good enough to compete with them, and there this is justified financially. but that would never have happened if other drivers were in contention for the end of year’s crown. it’s almost a decision for the fan: do you want to see two drivers driving for the same team battling it out on the track, or do you want multiple drivers from different teams trying to become world champion? i must say, i prefer the latter. alonso could be the champ, and in my book, it's legit. i am in favor of a faster team mate in a particular race be able to pass, if he’s shown that he is faster, for whatever reason (better or newer tyres, or just more pace). what i am totally against is a driver with less pace being waved forward by the team for championship reasons before his team mate is out of contention. just to finish up this little manifesto, here are examples. ferrari making barrichello give schumacher the victory in austria – apalling and horrible, totally against the sport. ferrari asking massa to let alonso pass in hockenheim this year, that was okay. alonso showed in the race that he was much faster. so actually massa should have let him past, but he couldn’t because that would be horrible for his fans in brazil, so the team order became the only option. i don’t applaud it, but alonso deserved to pass, since he is in the same team and was much faster. it doesn’t really matter that alonso as ahead in the championship (and at the time out of reach in the title race). red bull not letting webber pass for the championship was correct, yesterday. if webber had reached vettel and started attacking him, vettel should’ve at least not complicated things and let him pass if he attacked. that’s my opinion. since vettel showed he was superior yesterday (and most of this season and all of last season), that was not an option and red bull made the right decision. there is one exception to the rule, which is when a driver has no mathematical chance of being the world champion, and his team mate does. in this case, it is normal and understandable for a driver to help his team mate; this might be vettel’s case in the very last lap of the abu dhabi grand prix. a pretty sad way for webber to be world champion, somewhat humiliatging, but still, that’s what vettel should do. unless webber deservers the title and wins the race by his own merit. red bull have one title – and the other in their hand! the big question after today’s pretty exctiting race at the interlagos circuit in são paulo, brazil (which saw no brazilians, but four germans in the top ten) is if sebastian vettel is capable of being a gentleman. 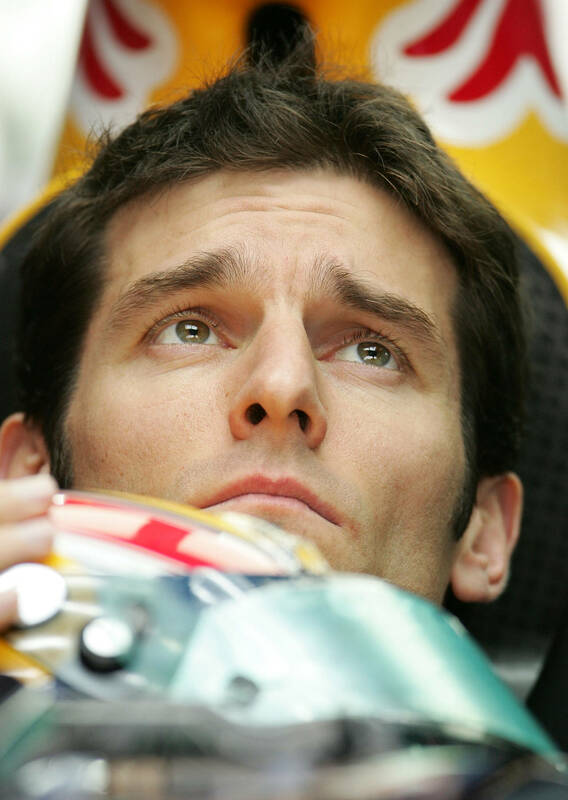 one could almost feel the sadness in mark webber’s expression and voice after the race. but actually, if you really look at it, it wasn’t a bad race for mark at all. sebastian vettel was the man of the day - and can give his enemy in the team the title next week! ferrari had the same pace as the red bulls, and they showed it today. but fernando alonso will have to deserve the title by finishing in front of one of the red bulls, since abu dhabi promises to be red bull land. 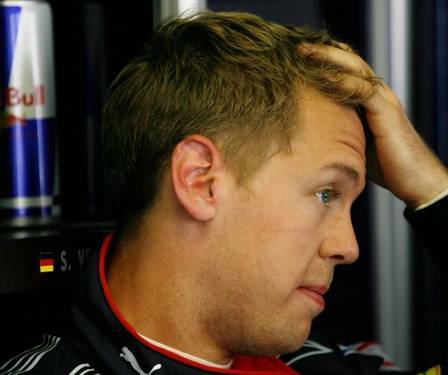 and if mark stays ahead of alonso, he has a great chance to become world champions because of sebastian’s vettel talent. today, once again, he showed to be just a little better than webber, and had he not had problems in his car and that accident with webber (i still blame the australian), he would be world champion right now. there is a good chance that vettel will lead that race until the end, and if webber is able to stay in second and alonso is in third, as it was today, the question will arise: is sebastian vettel gentleman enough to gift webber with the title? red bull has made it extremely clear that they will not interfere, and they proved it in a very professional and sportive way this weekend. so it will be vettel’s call, and i truly believe that he will let his team-mate become the world champion, even if they really are and never will be good friends. vettel has to win the race and alonso could only finish in fifth for the german to be champion. which is difficult, unless alonso has massive bad luck. 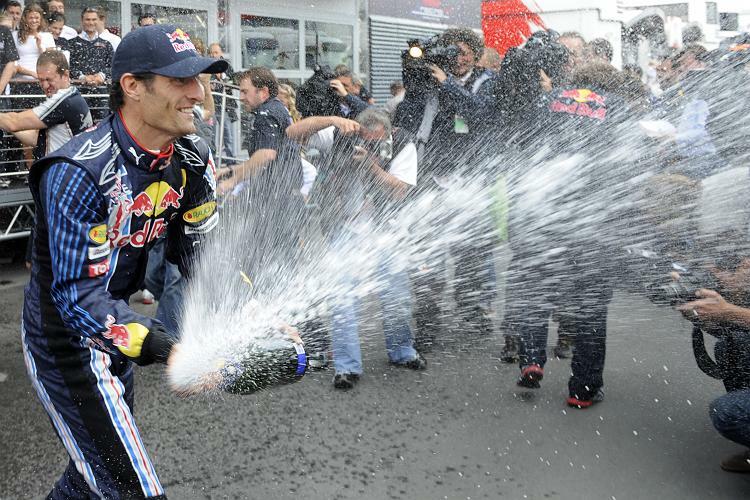 so, if red bull plays it like this weekend, the champion next week will be the australian mark webber! today is also a day to recognize the organization and management of red bull racing, who indeed have invested less than the big teams and have won the world championship for austria. the country had their first title in formula one in the early sixties, when jochen rindt was the only postum world champion. niki lauda added a couple of titles, and now red bull are on top! and really, if you look at it, this is quite an impressive achievement for such a new team, first laughed at as not serious enough to do well. red bull showed class today, with performance and sportivity. 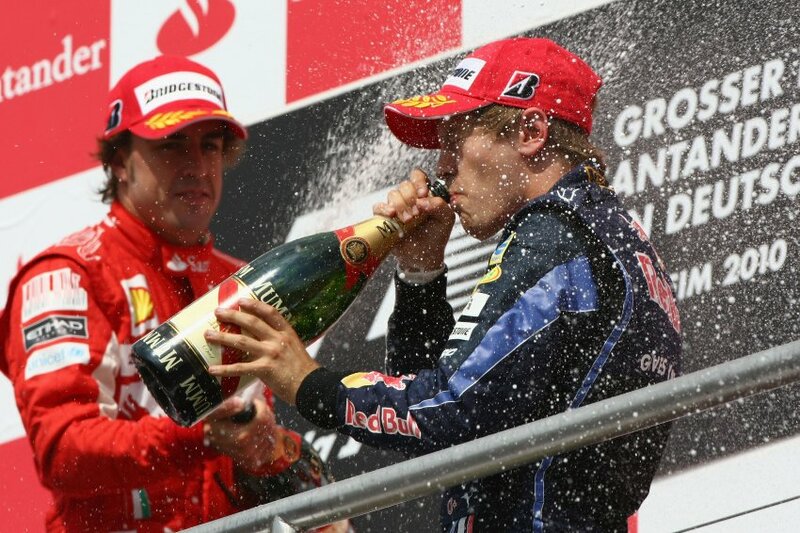 and sebastian can show class next week, leaving the victory to webber, if absolutely necessary.